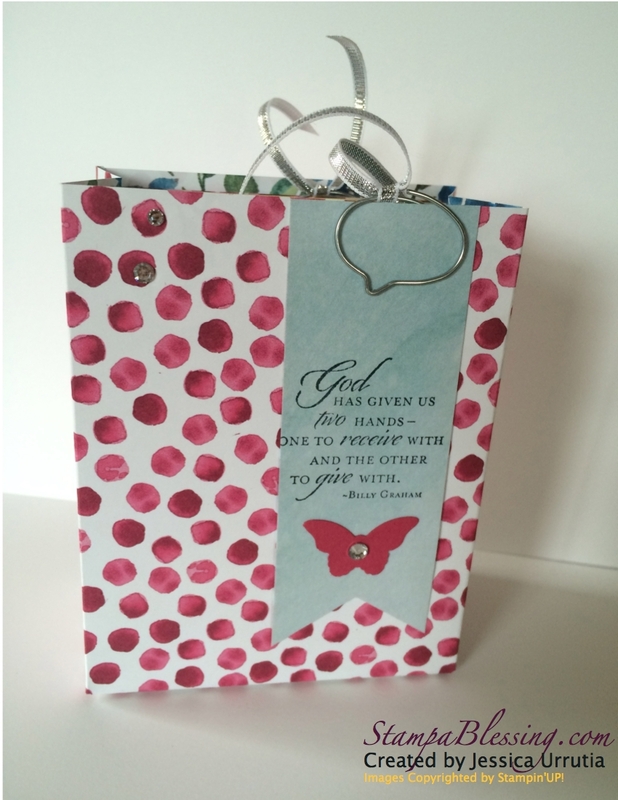 Do you have full sheets of scrapbook paper? I am SO SURE you have so many beautiful 12 x 12 papers laying somewhere in your house waiting to be used. I will give a challenge today so you get them out of the box and bless someone today? 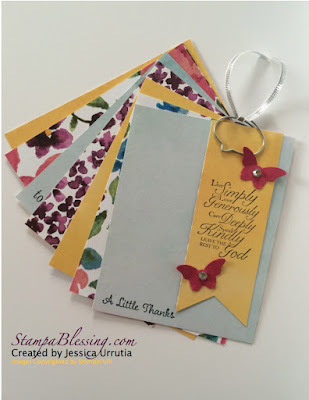 With this idea you can either keep them and spread the joy little by little OR you could prepare them in a cute bag -here made with my Gift Bag Punch Tool- and encourage others to bless. 1. Take your pretty 12 x 12 paper and cut it in 3 1/2" x 4 1/2" sheets. 2. Mix and match with other pretty papers if you wish. 4. Put together all your notes to give away as you wish. Yay! 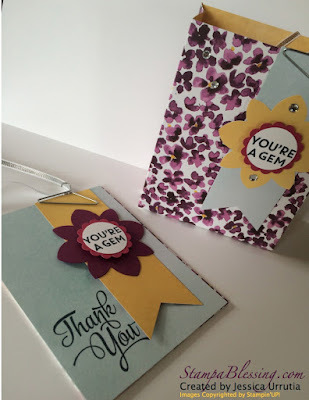 Here I used my Flower Medallion punch and Banner Triple Punch. 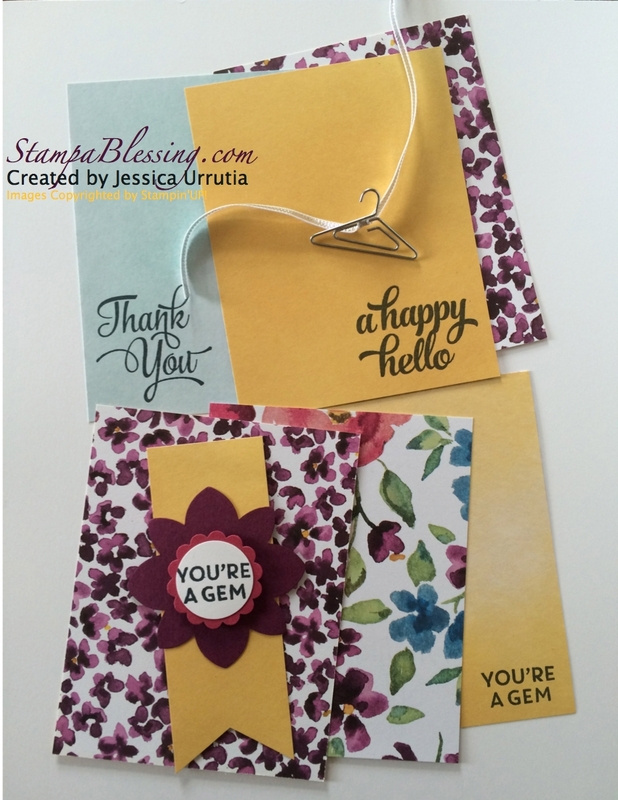 1" circle punch and 1 1/4" scallop punch too! Yay! 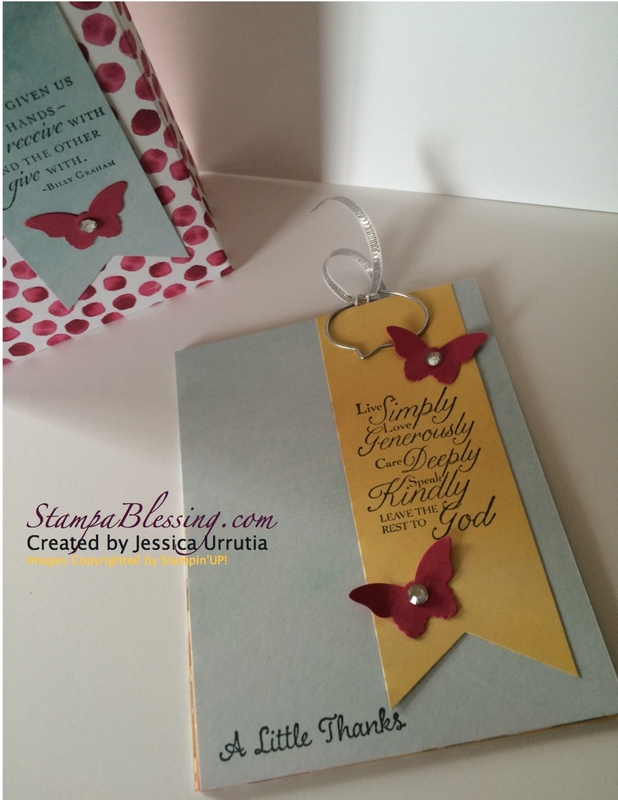 "God has given us…" & "Live simply" from Trust God. 1. Stamp a Bible verse or encouraging sentiment on the bottom right of your 4 x 6 sheets. 2. After putting them all together, add a simple banner cut with the Triple Banner Punch, stamp and clip with the paper clip. 3. Add a pen to the equation or a small sharpie if you wish. 4. 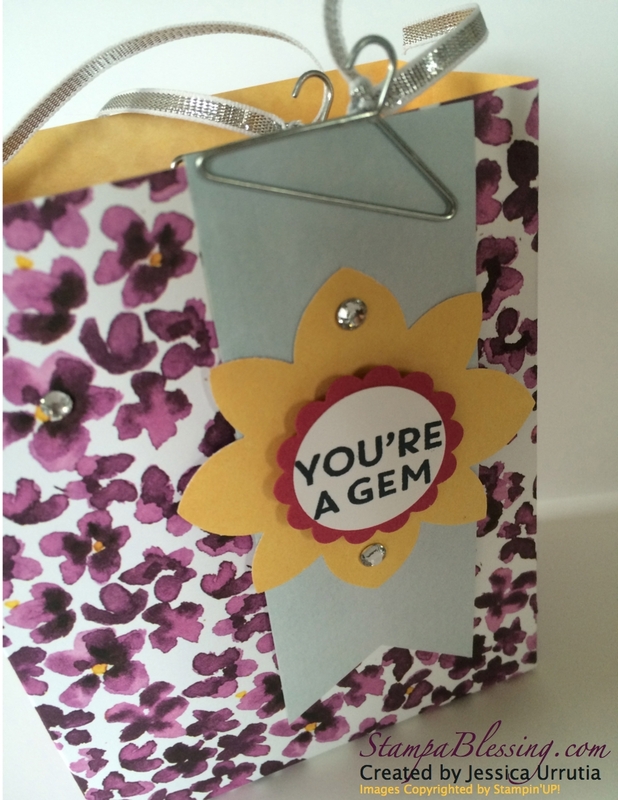 Create a cute bag and insert your notes inside. I will show you how to make these bags on my Thursday post. Don't miss it. Lighter papers work better for this. Some were lighter on the back, that's where I stamped. I will keep a simple one in my Bible, to have at hand and send my prayers. Here it is…simple eh! Ready to bless? 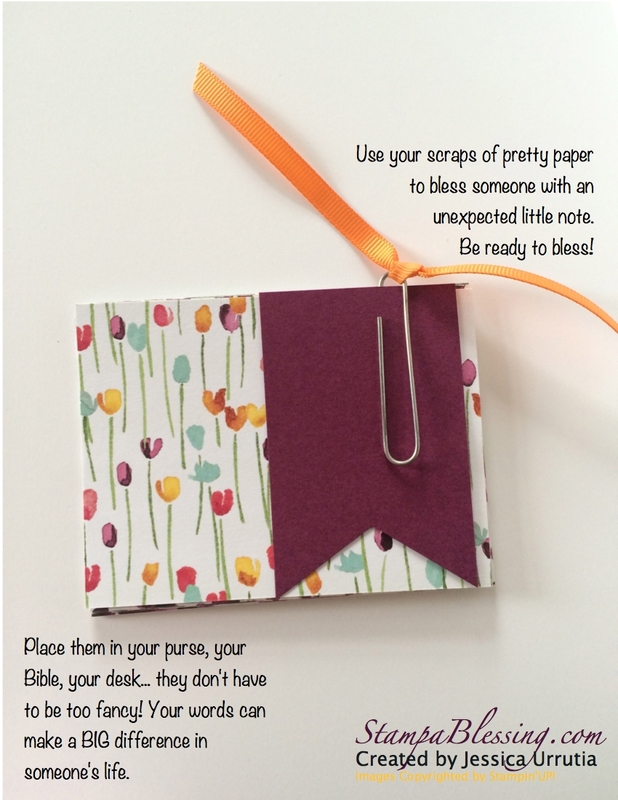 Use your scraps to bless someone! Ready, set, go!